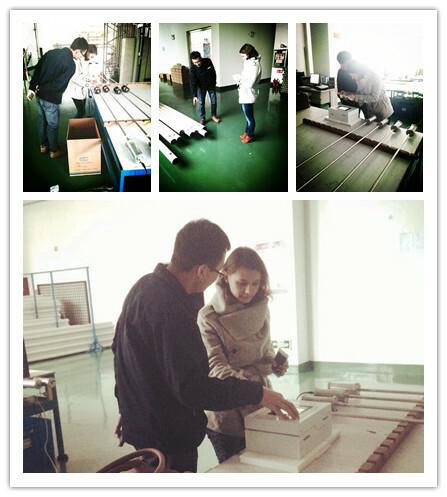 In October 30, 2014，Qingdao Accugauge Instrument Co., Ltd. Kazakhstan partner has visited ACCU factory, the two sides have an in-depth exchanges of ATG and related product’s information. Kazakhstan partners, who are focusing on understanding the innovative features and technology advancement of ATG products, have visited the production, research and development, marketing and other departments of our factory. With the further understanding of the product, the Kazakhstan partners have produced a deep sense of trust, which provides a motivation for the company's development. Both sides reached a consensus on the language, procedures and functions of PD-350 console, which have promoted further friendly exchanges and cooperation between the two sides. More than 17,000 gas stations (more than 70,000 tanks) are using Accu ATG all over the world, and more than 2000 filling stations have been installed ACCU ATG in Middle East, Africa, Europe, and South America. If you have any interest in our products and related services, please contact us without hesitation. We can provide highly customizable products according to your needs. Customer satisfaction and continuous innovation will always be our constant pursuit.